Special Note: Many states have laws which prohibit or limit an employer’s use of consumer credit reports, criminal records, or certain other components of a “background check.” Certain states also prohibit discrimination based on credit or criminal history information. Be sure to check the applicable laws in your state and consult with an employment law attorney who knows your state laws to ensure full compliance. If you are considering running a background check in connection with an employment decision or for current employees through a third party company who is in the business of compiling background information, it is vitally important that your company comply with the Fair Credit Reporting Act (FCRA). 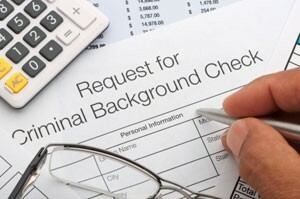 Employment background checks can include information from a variety of sources, including credit reports and criminal records. When you use consumer reports to make employment decisions, including hiring, retention, promotion or reassignment, you must comply with the Fair Credit Reporting Act (FCRA). The Federal Trade Commission (FTC) enforces the FCRA. The following are specific steps to take before you can get a consumer report, and before and after you take an adverse action based on that report. report for decisions related to their employment. This notice must be in writing and in a stand-alone format. The notice cannot be in an employment application. You can include some minor additional information in the notice, like a brief description of the nature of consumer reports, but only if it does not confuse or detract from the notice. Will not discriminate against the applicant or employee or otherwise misuse the information, as provided by any applicable federal or state equal opportunity laws or regulations. It’s a good idea to review applicable laws of your state related to consumer reports. Some states restrict the use of consumer reports for employment purposes. A copy of A Summary of Your Rights Under the Fair Credit Reporting Act, which the company that gave you the report should have given to you. Giving the person the notice in advance gives the person the opportunity to review the report and tell you if it is correct. If you take an adverse action based on information in a consumer report, you must give the applicant or employee a notice of that fact – orally, in writing, or electronically. A notice of the person’s right to dispute the accuracy or completeness of any information the consumer reporting company furnished, and to get an additional free report from the company if the person asks for it within 60 days. 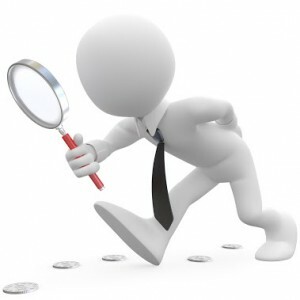 Employers who use “investigative reports” – reports based on personal interviews concerning a person’s character, general reputation, personal characteristics, and lifestyle – have additional obligations under the FCRA. These obligations include giving written notice that you may request or have requested an investigative consumer report, and giving a statement that the person has a right to request additional disclosures and a summary of the scope and substance of the report. The standard for the proper disposal of information derived from a consumer report is flexible, and allows the organizations and individuals covered by the Rule to determine what measures are reasonable based on the sensitivity of the information, the costs and benefits of different disposal methods, and changes in technology. Need help with background checks? Outsource your background checks today. Call us today at (877) 356-6175! Previous Previous post: I-9 Forms – Are You Compliant? Next Next post: Workplace Bully: How Many Do You Have?